A crafty hunter from Sanikiluaq, Nunavut, made emergency pants out of a fox after he fell through ice over the weekend. 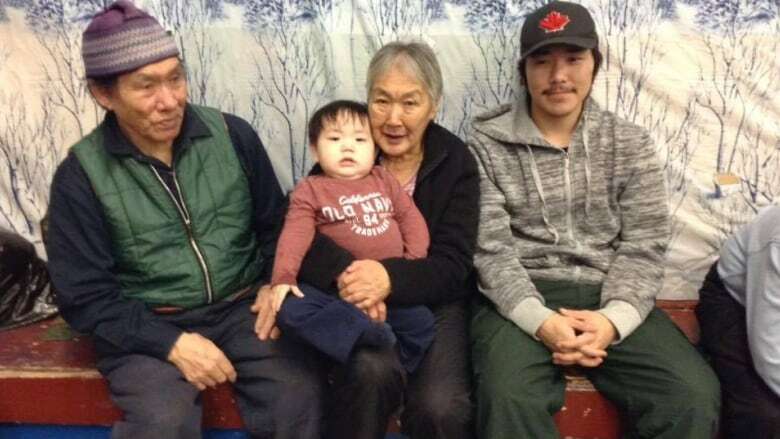 Well-known carver Jimmy Iqaluq, who is in his 70s, was hunting alone for polar bears on the southern part of the Belcher Islands Saturday when his snowmobile went through the ice. Iqaluq was able to pull himself out of the water and tied his snowmobile to the ice in the hopes of saving it. He walked to a small island and, because the tide was low, he had to climb up sheer ice to get on land. He built himself an igloo but found his wet leg was getting numb. Moses Appaqaq, CBC's community reporter in Sanikiluaq, said Iqaluq's pants were soaking wet so he made new ones using the day's catch. "He cut the fox's fur around the head and pulled the skin off and used it for pants," he said in Inuktitut. Iqaluq was found around 5 a.m. the following day when a search team found his shelter. He made it home safely. The ice to which he had tied his snowmobile broke and the machine sank, and he lost his gear. Appaqaq added the hunter also spotted killer whales near Sanikiluaq at the floe edge north of the community.